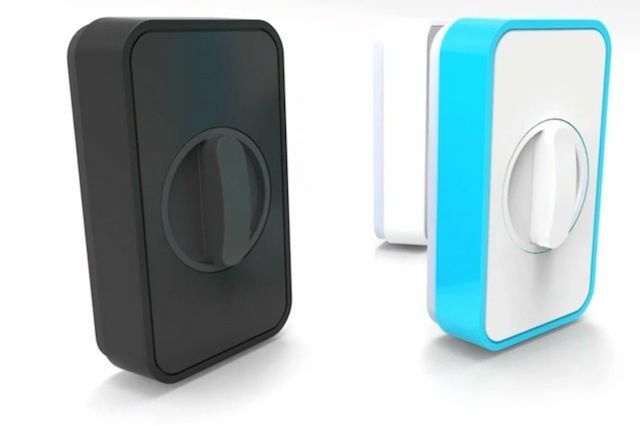 Lockitron is an attachment you can place on the back of any deadbolt lock in your house that allows you to lock and unlock it remotely via your smartphone. Better than that, if you have your iPhone 5 in your pocket when you approach a Lockitron deadbolt, you don’t have to even have to use your iPhone because it will detect you via Bluetooth 4.0 and unlock automatically. You can share access to your lock with friends and family so that if you’re not at your house and want to let them in you don’t have to worry about getting them an extra key. The sharing access feature makes it perfect for Airbnb customers. The best part about it though is that you don’t have to replace your current deadbolt. Lockitron fits over the inside of your deadbolt and you can take it off without any fuss. You’re probably thinking, “oh, but what happens when I spend a drunken night out on the town and come home with a dead iPhone battery and no keys?” Well, you can just send an SMS from your friend’s cellphone and have your door unlocked remotely. Lockitron won’t launch until March 2013 but you can pre-order one right now on their website for $149.